Customer Picture Number 210 Selected. Cool Car decals applied. 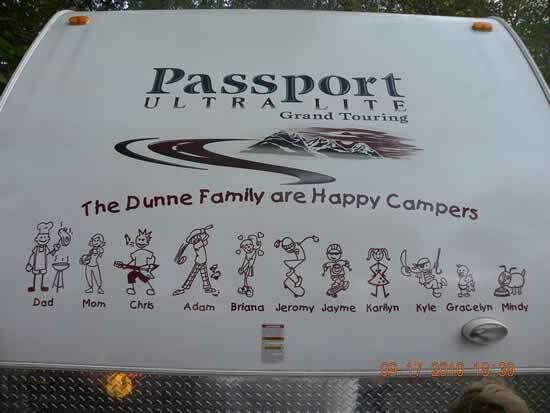 The second RV family decal fromthe Dunne family. This one is maroon and the last was dark green on another RV.